The Shops Buckhead Atlanta will deck its halls, entertain thousands of guests and provide the ultimate holiday shopping experience beginning Saturday, November 17 from 4 to 7 p.m. The center will offer sweet treats, special performances, festive décor and much more. 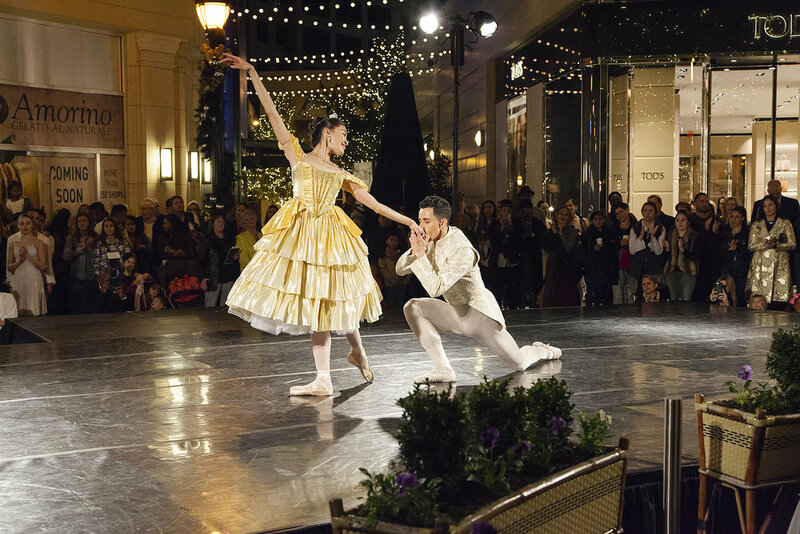 Join Clara, The Mouse King and The Nutcracker Prince on Buckhead Avenue for the Atlanta Ballet’s reimagined Nutcracker performance. Primas will be en pointe on November 17, when dancers perform in Center Plaza at 6:30 p.m. to welcome the holiday season. Arrive at sundown for the lighting of the streets, when six city blocks of holiday twinkle lights will illuminate The Shops Buckhead Atlanta.